Say what?? 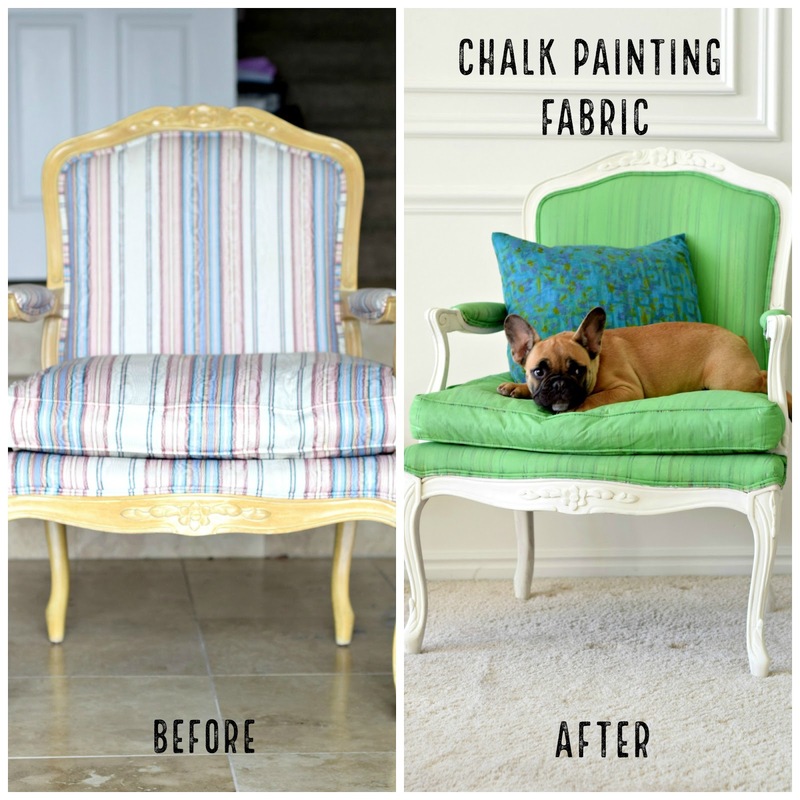 You can chalk paint fabric? Yes, yes you can, and it’s pretty incredible. In fact so incredible that I am currently addicted and need to do some thrift shopping so I can do more more more! This was so fun, and so easy! 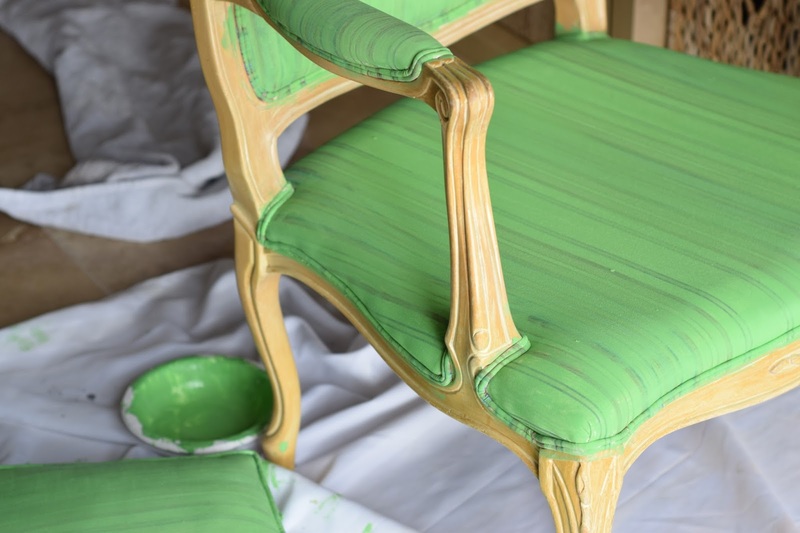 To prep the chair for painting I washed it with a damp rag and used a spray bottle to get it wet. 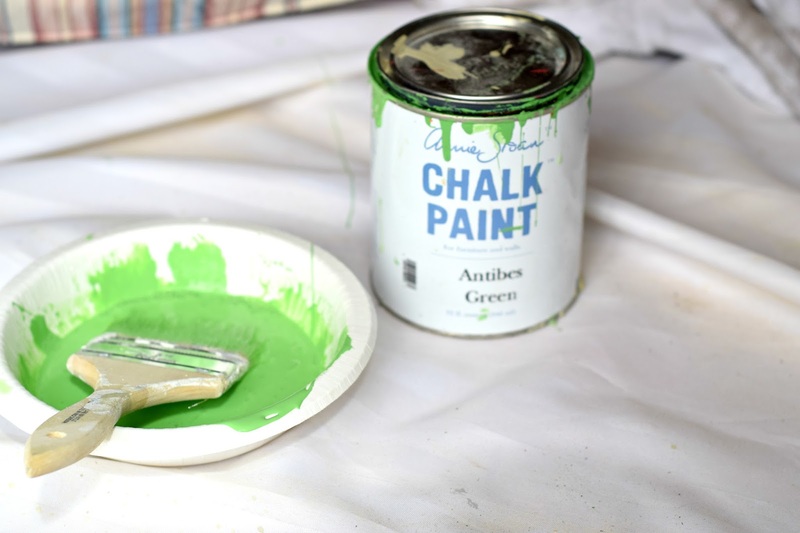 We then mixed our Annie Sloan chalk paint with about 20% of water (mixed it in a paper bowl). You will need to play with the consistency. The blog post I read said it should feel like tomato soup. I then went to work painting away. 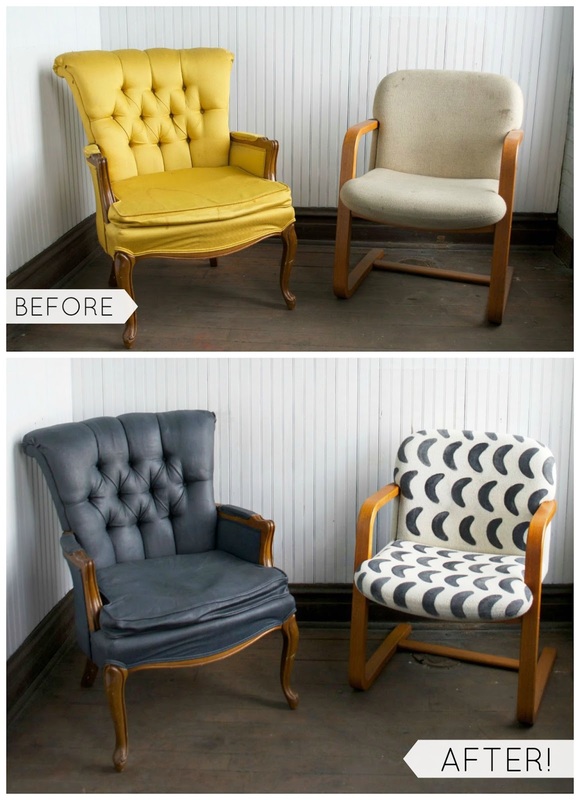 I didn’t even need to tape the wood part of the chair since I used a small brush around the edges. I purposely only did one coat since I wanted the stripes to peek through. 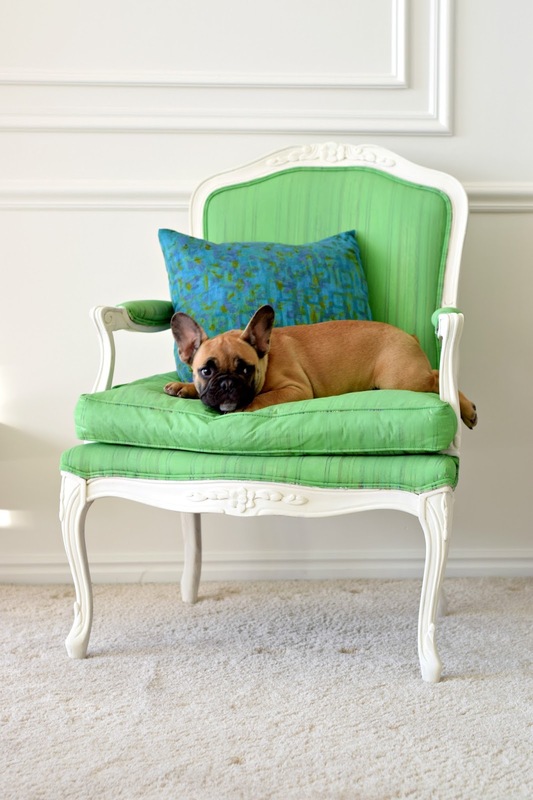 Then I did 2 coats of Annie Sloan’s white chalk paint on the wood. So people keep asking me “isn’t it super uncomfortable, and doesn’t it crack? Well, so far so good. It’s not softest piece of fabric you have ever felt, but it’s not super rough either. I am very happy with how it turned out and would do it again and again. 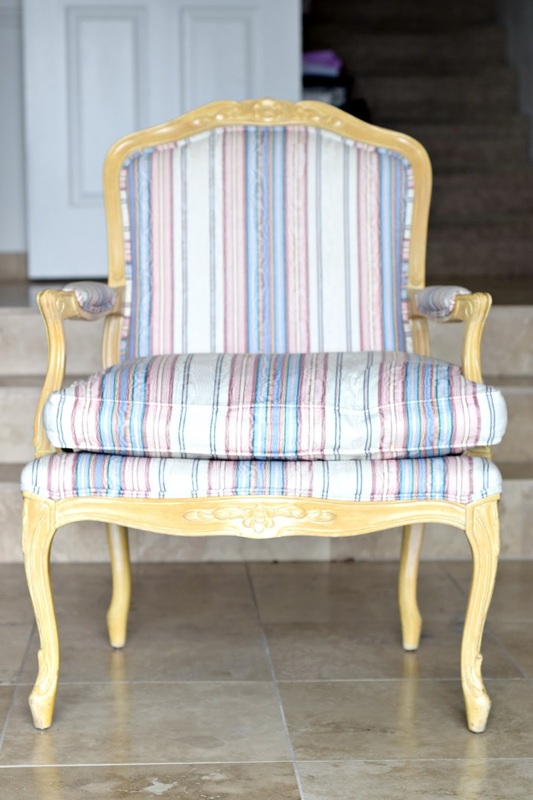 The tutorial I used was from Chalk Worthy Love the way here chairs turned out.